Our comprehensive and balanced Physical Education programme, focuses on developing students’sport skills, meanwhile training psychological quality, reinforcing interpersonal skills and teamwork consciousness. Our physical education includes individual sports, team sports, ASA (After School Activity and Lunchtime Training). Among these, individual sports and team sports are the primary P.E. courses. 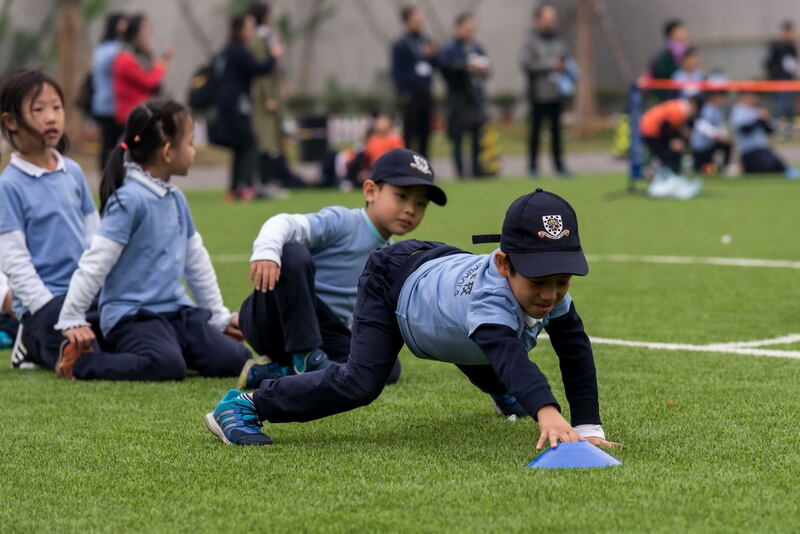 Based on the physical development and fitness of different grade students, we have physical education courses at different depths and difficulty levels that are age appropriate. Our P.E. teachers and coaches utilize appropriate age languages, suitable interaction and delivery approaches to make sure that each student will develop a broad range of skills and the love of sports. HD schools features three specialist sports for which we offer Academy-level coaching. They are tennis, football and golf. Swimming, Kung Fu and Team Sports are also taught by our experienced and highly qualified teachers and coaches. For students who are passionate about and good at sports, we also set up ASA and Lunchtime Training. ASA is an optional sports programme which includes different types of sports, like skating, fencing, table tennis, shooting, floor ball, etc. Students could choose the sport according to their interests in ASA programme. Lunchtime Training is sport club training. These training go on to form our HD teams. This is an optional training which totally respects students’ choice to join or not. Students are invited to make the commitment to the club for the whole semester once they decide to participate in it. The training usually takes place after lunch. We offer 3 sessions a week of Lunchtime Training in each team, to help those students who have passion for sports to stretch their sport abilities and skills and achieve their goals by representing HD in schools competitions. HD school students are sorted into Houses – Gryphon, Centaur, Dragon and Phoenix. Every semester, we hold various sports activities on a house basis, to help students enhance the physical practice and innovation, develop interpersonal skills, teamwork and promote House spirit. Our schools are equipped with outstanding and advanced sports facilities, like swimming pools, sports dome, outdoor fields, roof tennis court, etc. which help the needs of students of different ages for growth and body-development, and to adapt to the specific sports needs bearing in mind the weather and climate. These facilities comprehensively support our physical education, provide students the heathy and safe environment to exercise and help our students to realize our PE Mission Statement.